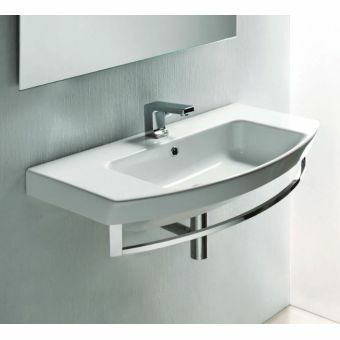 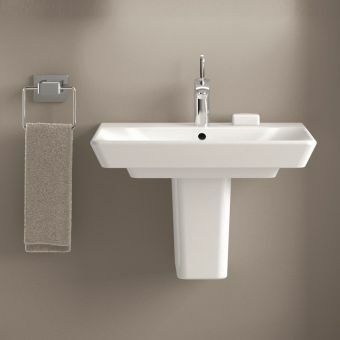 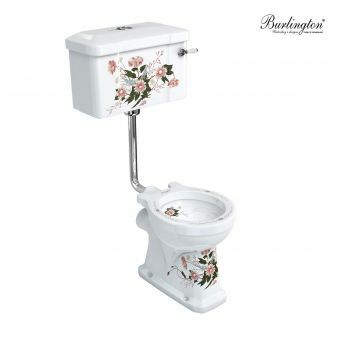 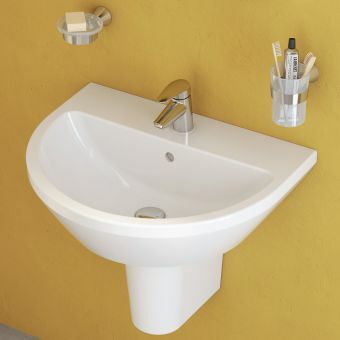 The English Garden line offers the user a unique and attractive alternative to the standard white finish sanitary ware. 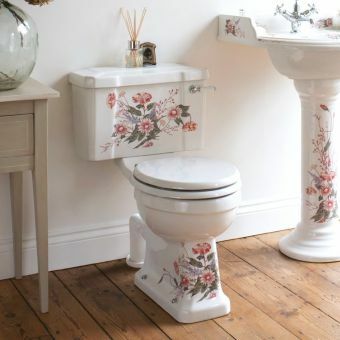 With a printed floral theme, these pieces bring a beautiful, decorative element into the interior. Finished with a rounded front edge, this basin has a delightfully ornamental shape that is well complemented by its printed pattern. 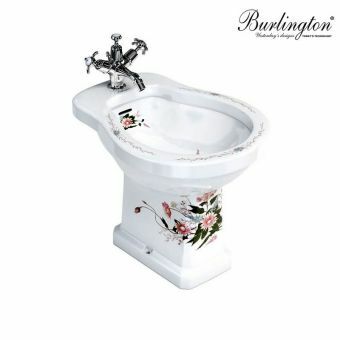 Crafted from vitreous china, it is the perfect piece to introduce to the bright, pastoral interior. 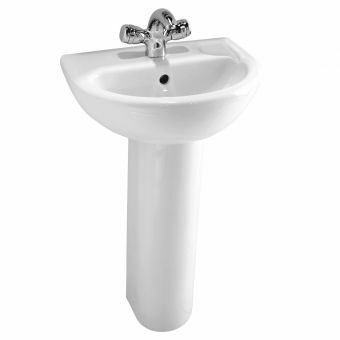 Each basin is available with one, two or three tap holes to accommodate brassware of your choice. 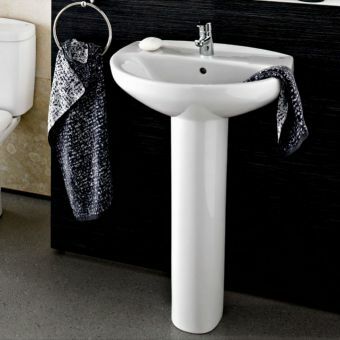 An optional, matching pedestal is available to continue the natural flow of the piece and cover up any pipework. 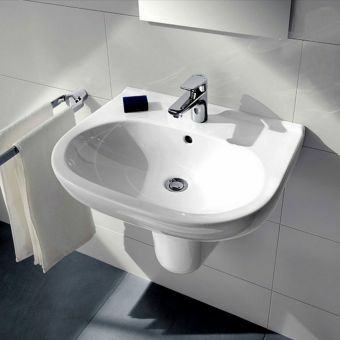 This basin measures 950mm in height, and 650mm across. 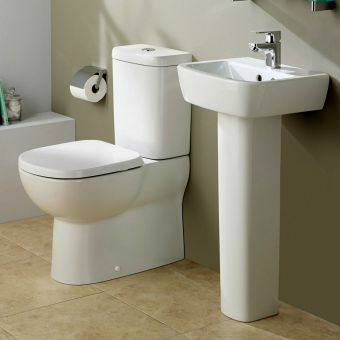 Fitted with an overflow, this piece requires a slotted waste. 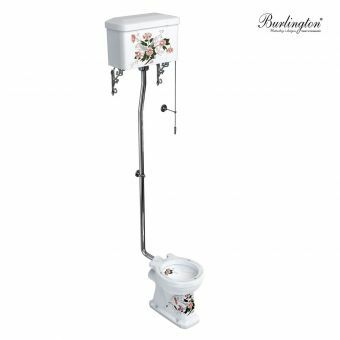 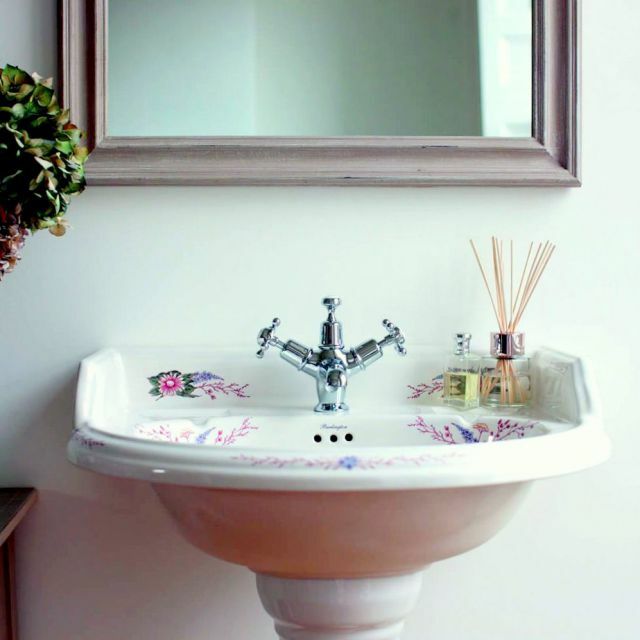 Please see our other items from the English Garden range to create a cohesive look throughout the bathroom.